Yesterday I expressed my love (obsession) for Whole Foods Market. And today, I am going to show you — in great detail and delicious food — exactly why their store rocks my low-sodium world. As a part of the Whole Foods Market Hacks challenge, I was tasked with the task of creating TWO MEALS A DAY to feed the THREE MEMBERS OF MY FAMILY all for $125. Or in other words roughly 42 PLATES OF FOOD FOR $3 DOLLARS EACH. Got that? And let’s be honest, while I keep to a strict low-sodium diet, I do not keep to small (slash: normal) portion sizes. Sometimes I eat steak the size of my face. So tiny plates of romaine for dinner or a mug of soup just wasn’t going to do. I wanted big meals, with lots of components, and tons of flavor. No skimping. No bowls of rice. And even though I have a lot of greens and frozen vegetables at home, I wanted to do this challenge right. Which meant I bought everything I needed for the week, fresh. No using what was in my cupboards, my fridge, or my counters (aside from spices and oils and flour). Everything else was purchased with that $125 gift certificate, from the couscous to the frozen peas. And guess what? Not only is it totally, completely, unbelievably possible to make all those meals, complete with sauces and sides, for under $125. I made them for under $100, with tons of ingredients to spare. Literally, I am still eating leftovers and finding ways to use up my produce and grains a week later. And while I could have bought a steak the size of my face or a really nice bottle of wine with the remaining bucks, I decided to put it towards another amazing Whole Foods Market product: the Whole Kids Foundation. Because nothing tastes sweeter than giving everyone the opportunity (and education!) to eat well. So with that intro, let me present to you some shopping advice and a week’s worth of meals. All for under $100. And keep an eye out for opportunities to win a $25 Whole Foods Market gift card below. Simply answer one of the highlighted How Do You Hack? questions in the comment section and five winners will chosen at random and announced on Friday, September 26 (winners have been chosen, thank you!) With that, grab your reusable bag and let’s go shopping! I mean, let’s get hacking. Even though I think of myself as a savvy shopper, I took up Whole Foods Market on the offer of a value tour, where I learned some pretty incredible tips on how to not only pick the best and most flavorful products, but keep those receipts ridiculously low. Look for deals: So this is pretty obvious when it comes to smart shopping. But what surprised me was the insane number of incredible deals WFM has everyday. I bought five avocados for $5 dollars! Four large carrots for $.99. Two red bell peppers for $3. And a dozen eggs for $4.49. I mean, my biggest splurge was on cherry tomatoes at $3.99 per basket. And even the specialty, low-sodium items, like the 365 Brand No-Salt-Added Beans, were a part of their Everyday Deals program and came in at a whopping $1.69 for one can. So don’t forget to look for the incredible Every Day Deal steals and the special one-day deals they have every Wednesday and Friday (which they tend to post on their Facebook page!). Make a plan, then make swaps: Before even going to the store, it’s really helpful to create a list of the recipes and ingredients you need for the week. But when you get there, if couscous is cheaper than quinoa or red peppers are on sale, don’t be afraid to switch things up to get more bang for your buck! Go big with the bird: Buying a whole chicken at the beginning of the week not only means many, many tasty chicken recipes in the days to come. But it is a whole lot cheaper than buying individual pieces. My Every Day Deal 4.5 pound chicken was only $11.33! Plus, you get the bones for stock and even the giblets for pates and pastas, if you’re adventurous. So roast that bird whole and carve on your own. Or ask the friendly WFM butcher to break it down. How do You Hack: Tell us how will you stretch your next bird (or other protein)! Get what you need: Whether you’re at the bulk bins or the meat counter, get the exact amount of food you need for your recipe and your budget. If you only have $10 to spend on meat or fish, the butcher will gladly help you pick the right size and the right cut to maximize your buck. They’ll even marinate or filet at no extra charge! Ask for half: Did you know you can ask your helpful Whole Foods Market employee to cut produce in half (or whatever size you need)? Um, YES! If you only want the bulb of that butternut squash or a quarter of the watermelon, they can slice it for you. And don’t worry, nothing goes to waste. Leftovers get used in the prepared food items or the pre chopped veggies. Add bulk with bulk bins: Beans and grains not only work well as sides, but they also help stretch your protein purchases throughout the week. 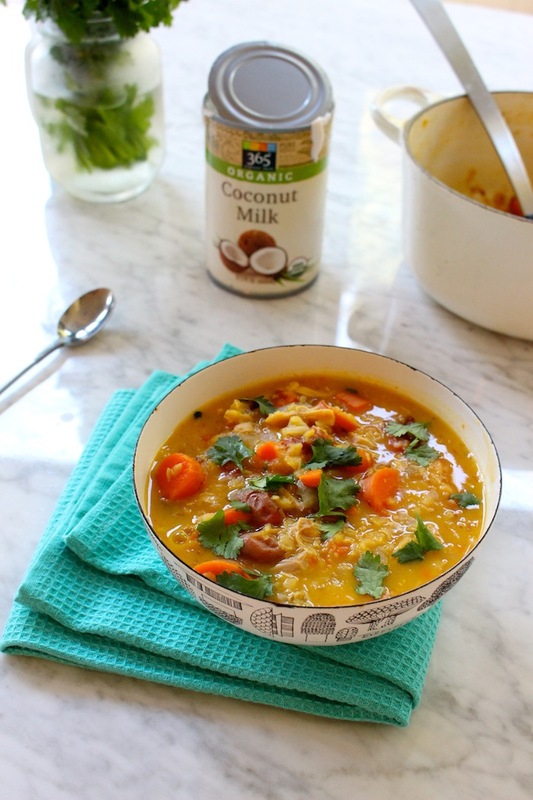 Add lentils to stews (and curries!) or quinoa to meatballs and burger patties to make more from less. And don’t be afraid to try something new. Grab a cup of freekeh or wheat berries from the bulk bin and give it a go. How do You Hack: Tell us what recipe you will bulk up with the bulk bins. Keep it seasonal: The seasonal produce will always be the more price-friendly choice. Choose frozen: But when you want something not in season, don’t forget the freezer section! These days you’ll find more than peas and carrots. Stock up on chard and kale and mushrooms, to name a few delicious things. And remember that frozen fish will often be lower in price too. Multi-purpose: When planning your meals, look for ways to stretch ingredients. For example, if you want to make a polenta casserole, also make cornmeal crusted fish and “polenta muffins.” Or if you buy a can of coconut milk, use it in smoothies, soups, sauces, and even as whipped cream. See how many different ways you can use one single ingredient. It will not only stretch your budget, but your creativity. How do You Hack: Tell us about your favorite multi-purpose ingredient and how you use it. Stretch those herbs: A few sprigs of cilantro or a sprinkle of dill will add tons of bright color and flavor to even the simplest dishes. So pick one or two bushels of fresh herbs and find ways to use them throughout the week. It’s an easy way to not only perk up your dinners but also your leftovers (or best overs). 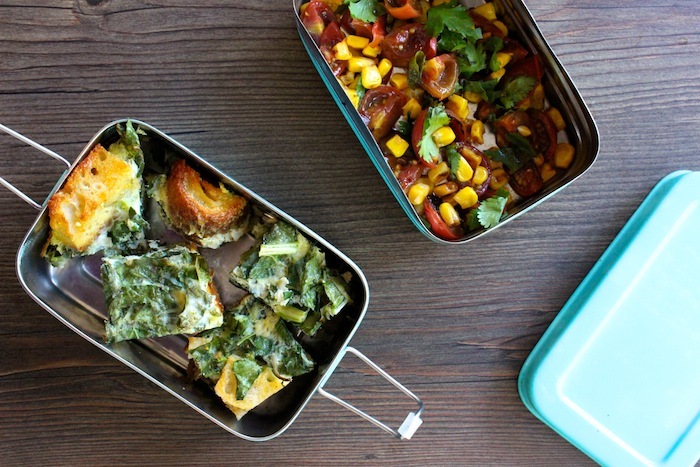 Do the prep: Start the week off right by doing meal prep on the weekend. 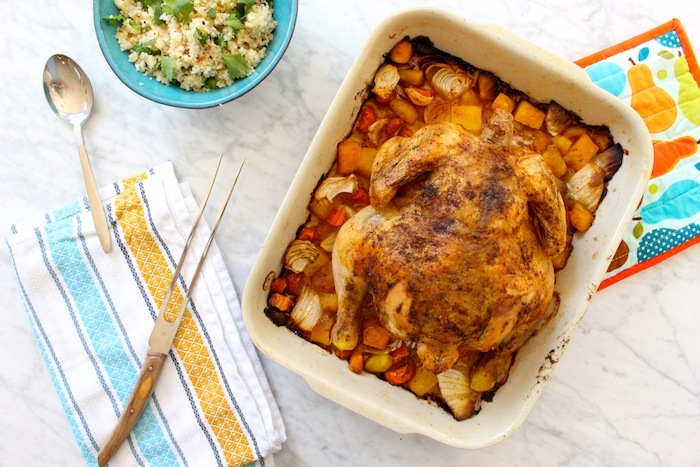 Roasting a whole chicken, chopping up vegetables, and even baking a (super easy!) 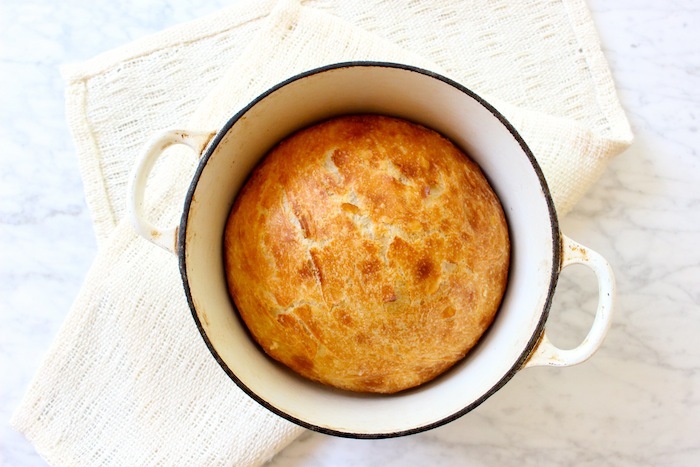 loaf of bread will make lunch and dinnertime a snap. And now for the part you’ve all been waiting for: the meal plan! As I said before, the following dishes not only fed my family of three for seven days, lunch and dinner. It also lasted well into the next week. All for under $100. And while I only have a few recipes posted below, I will surely be posting the others throughout the next few weeks. But if you are in need of more inspiration for your own cooking adventures, the Whole Foods Market newsletter has plenty of dishes, ideas, and recipes to choose from. All found here. So dig in and enjoy. Remove top oven racks so only the lower one remains. Preheat oven to 450dg F.
Place the squash, carrot, garlic, and onion into a large roasting pan. Then place the roasting rack on top. In a small bowl, mix the garlic powder, paprika, cumin, chili powder, and a few sprinkles of black pepper. Place the chicken breast side up on top of the roasting rack and rub it with a few drizzles of olive oil. Then rub the bird with spice mix, front and back. And finally, starting at the back end cavity, work your fingers under the skin separating it from the meat. Do this for as much as the chicken as possible, including the legs- it will help keep the skin nice and crispy. Place the roasting dish into the oven and immediately lower the heat to 400dg F. Cook the chicken for 1 hour and 20 minutes or until a meat thermometer in the thickest part of the thigh reads 165dg F (or the juices run dry). Transfer the chicken to a carving board and cover the root vegetables with foil to keep warm. Meanwhile, in a small sauce pan, bring a cup of water to boil. Add the couscous, remove the sauce pan from the heat, and put the lid on top. Let it sit for 10 minutes and then use a fork to stir and fluff the couscous. Transfer the couscous to a serving bowl. Then zest the lemon directly into the couscous. Cut the lemon in half and juice one half (saving the other for your goddess dressing!). Stir the lemon juice into the couscous. Then add a few pinches of black pepper and the cilantro, gently tossing until well combined. To serve, put about 1/2 cup of couscous on each plate, saving the rest for the Couscous Corn Salad. Then carve the chicken into breasts, thighs, drumsticks, and wings. Either choose the breasts or the thighs for dinner and save the rest of the parts (including the back bone and all the meat on it) for the many chicken dishes to come. 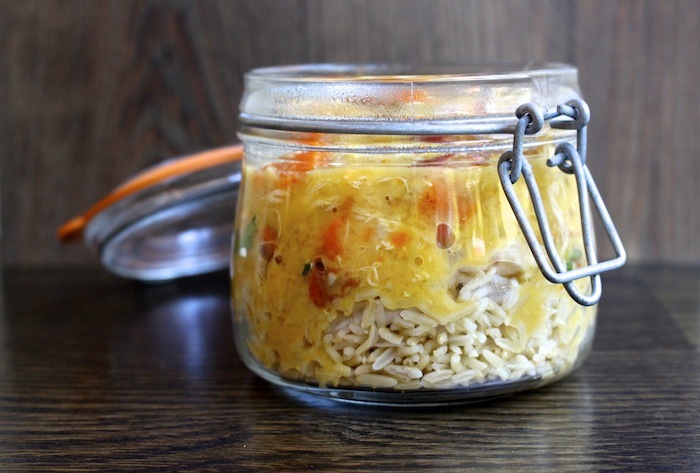 Leftover chicken will stay good in the refrigerator for up to 5 days. 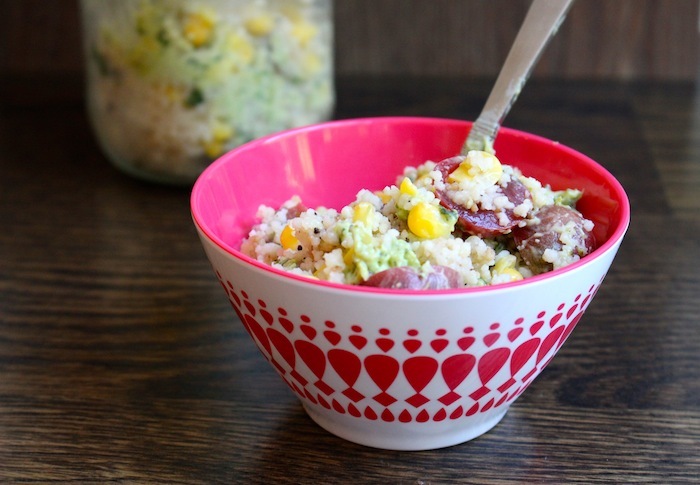 Leftover couscous makes the perfect base for a weekday salad (or an evening side). Add in frozen corn and a simple broccoli avocado goddess dressing (made from the leftover lemon, 1/4 avocado, frozen broccoli, and Greek yogurt). And you’ll have a dish worth eating al desko or al fresco. Use the chicken backbone from Sunday (and all that meat stuck to it) to make a savory stock. 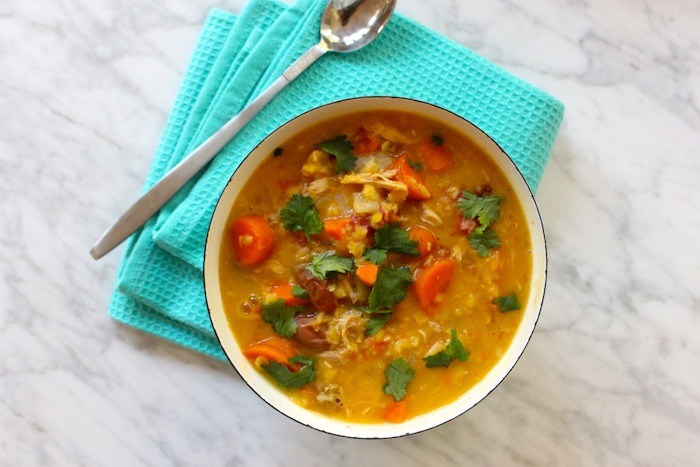 Add in more of the frozen butternut squash, one carrot, some cherry tomatoes, and red lentils for extra “meaty” bulk. Finish it with 1/3 of the coconut milk–saving the rest for your Roasted Red Pepper Sauce and the creamy fat for Coconut Whipped Cream. If you think spreading avocado on toast is easy, just wait until you try this no-knead bread recipe (just leave out the salt and put in some dried herbs or salt-free garlic powder). You should be making it every week. 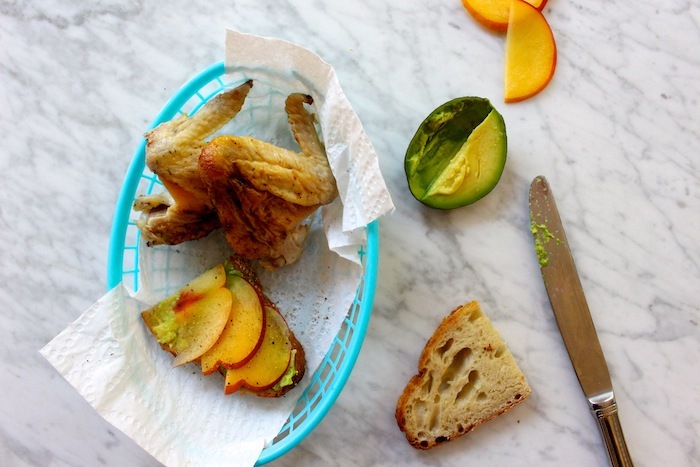 So you can eat avocado nectarine toast every day. 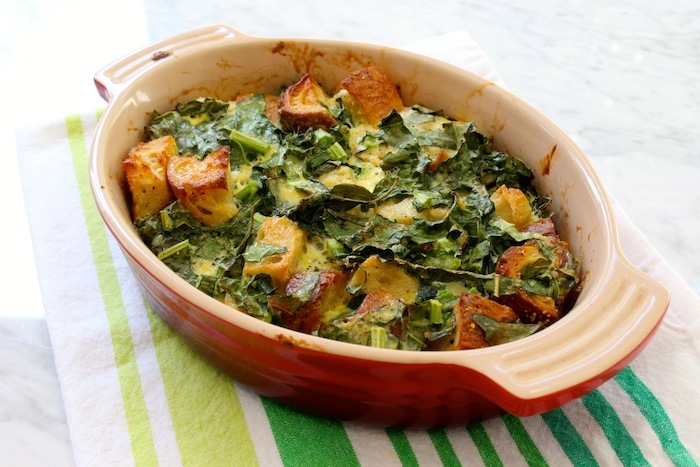 Make big croutons out of your no-knead bread and then mix with eggs, Greek yogurt, kale ribbons, some frozen broccoli or peas, and spices for a savory strata. Make second-day strata something special with a simple corn and tomato salsa. Use two forks to break up the the breast or the thigh meat (whatever you didn’t eat on Sunday) and then mix with spices. Shred leftover carrots and let them soak in apple cider vinegar overnight for a quick pickle. Then serve with Greek yogurt. Sliced avocado. Toasted tortillas. And shredded cabbage (just make sure to save some of the top cabbage leaves for your Turkey Wraps later in the week). A little rice or couscous transforms leftover lentil curry into lunch for two. And some for the mini munchkin, as well. Combine flour and cornmeal in a shallow dish. Then mix the water and egg white in a second shallow dish, stirring to mix. Set aside. In a small bowl, mix the spices and then rub them on both sides of fish. In a large skillet, heat 1 tablespoon of oil over medium-high heat. With your left hand, dip one filet into the egg mixture. Shake gently to get rid of the excess egg and then place the filet in cornmeal mixture, using your right hand to coat the entire piece of fish. Repeat with the second filet. Then carefully transfer the filets to the hot oil. Cook for 4 minutes per side and use a fish spatula to remove the filets to two plates. 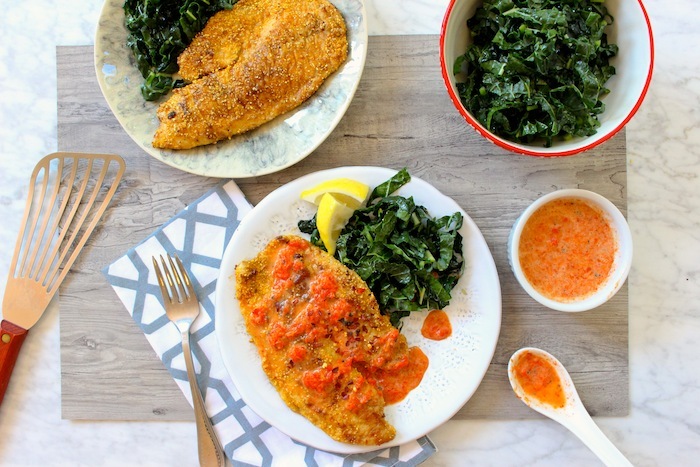 Serve with massaged kale salad and a Coconut Roasted Red Pepper Sauce. Brown half a pound of turkey meat with spices (I bought one pound for $4.99, what?). Cut half of a red pepper into matchsticks for some color. Slice some avocado and green onion for extra crunch and flair. 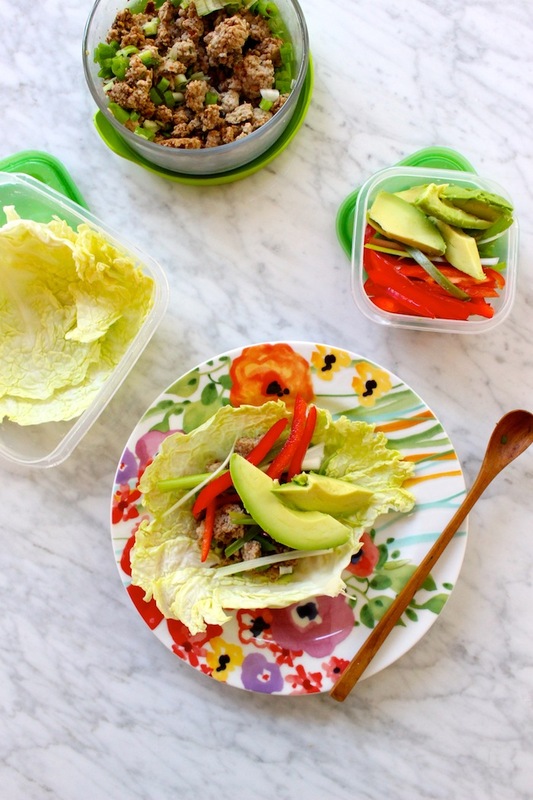 Put all the fillings in a to-go container, with some lime wedges, and make your wraps when it’s time to lunch. Use one cup of cornmeal to make a big batch of polenta. Then cut a red pepper in half, removing the seeds. Mix one cup of the cooked couscous with frozen corn, some thawed and chopped frozen broccoli, and lots of spice. 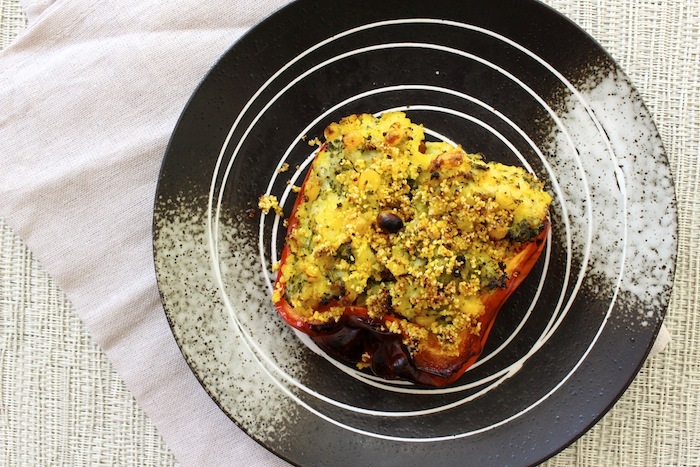 Fill the pepper with the cornmeal mixture and bake at 400dg F for 30 minutes. If you can handle a little extra sodium, a little bit of parmesan or panko breadcrumbs on top will go a long way. Just remember to transfer the remaining polenta into a square or rectangle container, smoothing out the top before refrigerating. In place of the English muffin, use a round pastry cutter to make two thick circles from the day-old polenta. Heat some oil in a hot skillet and add the polenta rounds, cooking for 3 to 4 minutes per side. 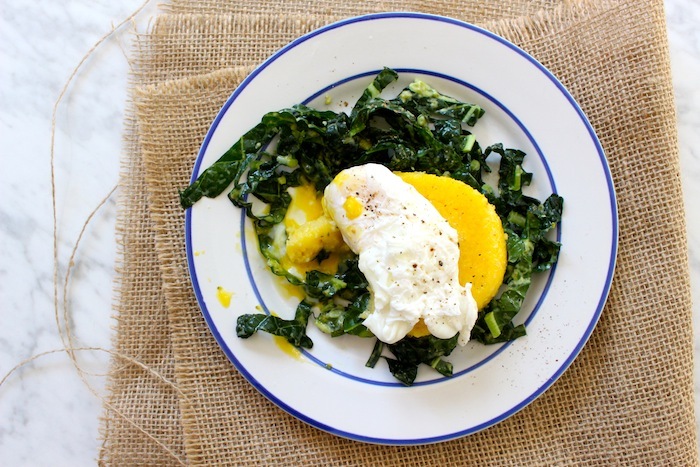 Top with leftover massaged kale salad and a poached egg. 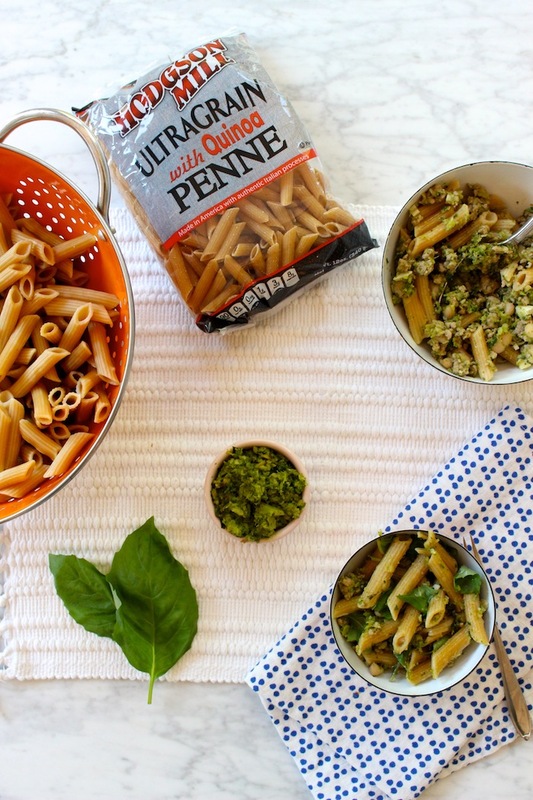 First, look for dry pasta on sale, like this amazing quinoa pasta that was only $4 for 2 whole bags. Then mix some frozen broccoli with traditional pine nuts and basil for a slightly earthier, herbier, and definitely healthier pesto sauce. Finish it with a ragù made from the other half of that ground turkey thigh (or whatever ground meat is on sale) and some creamy 365 Brand No-Salt-Added Cannelloni Beans for a rich weekend dinner. 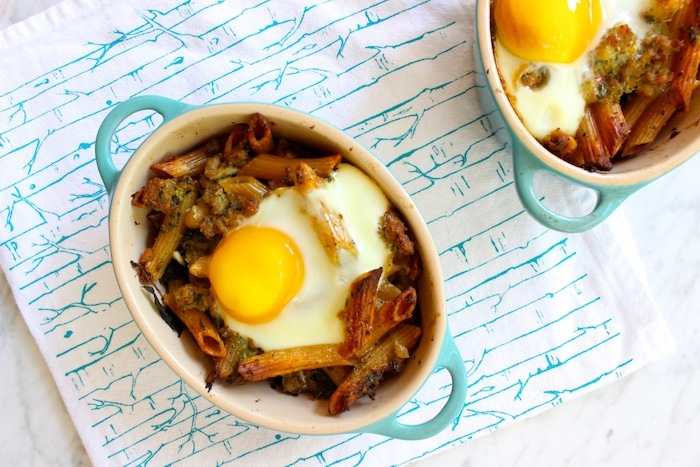 There’s nothing I love more for breakfast that the crispy crunch of baked pasta. It’s texture heaven. Simply divide leftovers between two small oven-safe dishes and cook at 400dg F for ten minutes, or until the pasta begins to get brown. Crack one egg into each dish and cook until the egg whites harden, about 5 to 8 minutes. Disclaimer: This post is sponsored by Whole Foods Market. However, the opinions, recipes, and genuine love of the store and their products are my own. Winners have been chosen, thank you. I notice that you’ve discovered many of the deals at Whole Foods that I have (for instance the red peppers). There are many items I get at Whole Foods that are cheaper than anywhere, including online. I would say the multi-purpose ingredient I’m using that I get a good deal at Whole Foods is cashew butter. They can be added to smoothies, I make ice cream with it, use it to make sauces, cookies, health bars (raw or cooked), and more! I noticed that the no knead bread has salt in the recipe so this is not low sodium bread. 1-1/4 tsp is quite a bit of sodium. Simply make the bread without salt and add in other salt-free spices (like salt-free garlic powder, caraway seed, dill!) that you want to give it more flavor! All of these meals look and sound fantastic and so amazing that you kept the total under $100! I look forward to trying all of these wonderful, low sodium dishes. I also really enjoyed reading the tips about being a savvy shopper at Whole Foods. I will certainly be using that advice in the future. I love the bulk bins at Whole Foods and plan to bulk up my soups and stews all fall and winter long with hearty and protein filled items like lentils & quinoa. Wheatberries from the bulk section for vegetarian chili. 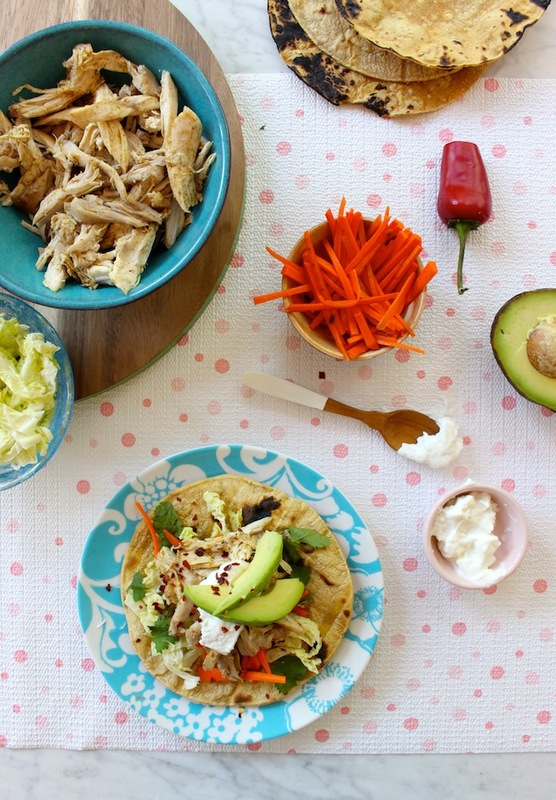 Great slow cooker meal (and I love my crockpot!). You only need to soak the wheatberries the night before. They soak up the flavor of the seasonings and offer the same texture as a ground meat. We love using chickpeas to bulk up recipes such as curry and chili! Never thought to add quinoa to burgers to stretch the meat. I will totally be trying that! Thank you! I use bread as a way to stretch a buck. 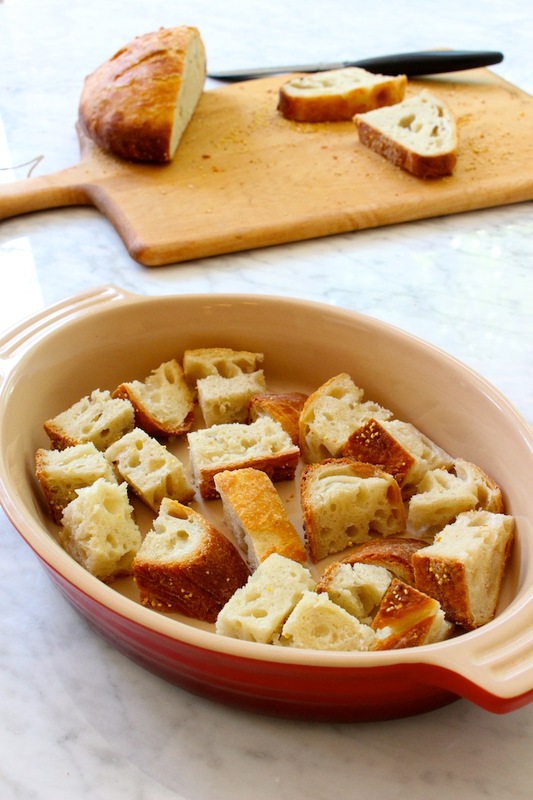 You can toast it and make croutons, whir it up in a food processor to make breadcrumbs, make a panzanella salad, French toast on Sundays, of course sandwiches… The possibilities are endless!! One of the best items in the bulk bins to load up on is oat bran! I use it for meatballs, breakfast for the entire family and baking muffins, it’s so versatile and super affordable. How will I stretch my next protein? A pork loin – I’ll cook a roast which will be meal one with some veggies, then shredded in tacos, then chopped up in pork fried rice. Depending on the size of the roast I might get a sandwich out of it too. From the bulk bin, beans and rice. When I make burritos, less than half of the filling is meat, but they still taste great! We use bulk bins to grab quinoa to reduce the amount of ground beef we use in recipes like stuffed peppers and various casseroles. Bulk bins are also great for picking up small amounts of grains or other things that we just want to try out in one recipe that we may or may not like. Being able to buy the exact amount we need helps the budget along with making us feel like we can be more adventurous and try new things. Quick question: did you really purchase 1 dozen eggs or perhaps an 18 count? $4.49 is rather steep for 1 dozen eggs. Black beans are definitely my bulk bin go to item. You did an INCREDIBLE job with this! 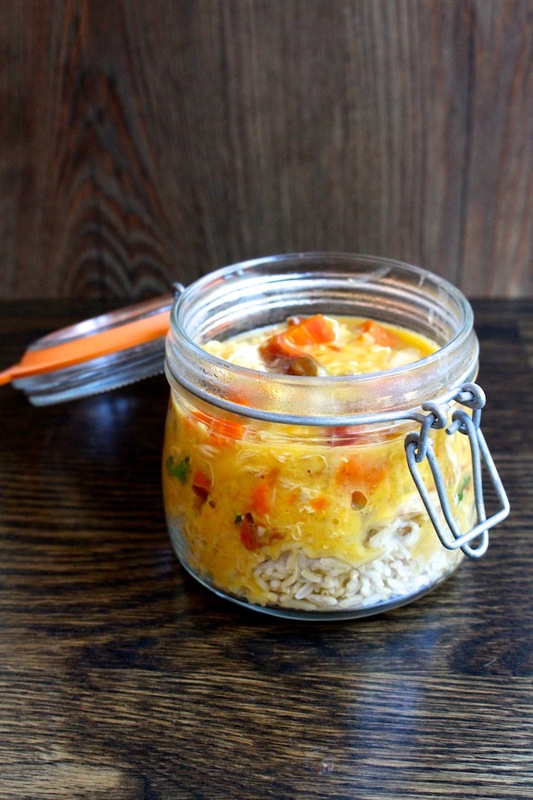 I saw another blogger who did jarred spaghetti and turkey roll ups…. no thanks! this is really impressive. I would never think you could make all that for under $100! I definitely want to try that first recipe for the chicken & root vegetables. The contest is over but I really wanted to comment anyway. Getting deals like the 5 avocados for $5 is great. But your paragraph title of “Go big with the bird” gave me a big laugh. Just sounds so funny. So thanks for the great pictures as always and great information, but especially for that laugh. Much appreciated.